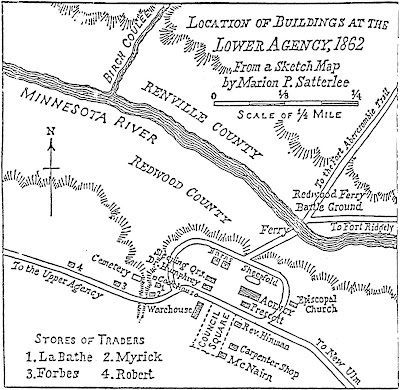 At Redwood Ferry, Minnesota, nineteen soldiers of forty-six survived a Sioux ambush. Around Ft. Ridgely houses were in flames, victims were mutilated, and the settlers fled to the fort. (The Civil War Day, by Day, E. B. and Barbara Long). Those Minnesota soldiers were members of Company B, 5th MN Infantry. They still had a lot of war left in them, rejoining the rest of the regiment in Oxford, Mississippi by the end of the year. More on that in the next entry. Yes, I'm back in the blogging saddle after a brief hiatus. I'd like to say I was relaxing and recreating, taking August off, like the French, but no. I could post a long paragraph right about now explaining why my posts have been infrequent lately, but I am enough of a blog reader to know that no one cares why someone stopped blogging. Sitemeter tells me at least some people continue to visit this site (thanks! ), and that's good enough. Fresh, original content to follow. 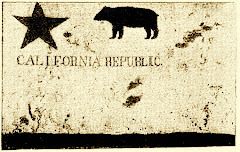 Map at top appears in The Sioux Uprising of 1862, by Kenneth Carley (St. Paul, 1961). 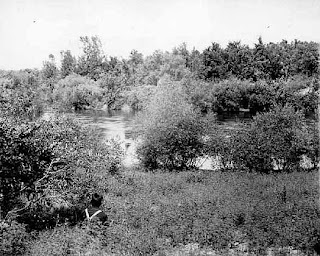 Below: Redwood Ferry crossing on the Minnesota River (Minnesota Historical Society).